Papyri were always rolled with the vertical-running pith on the outside because of the natural tendency of the sheet to curve in that direction; inscriptions and illustrations on a papyrus roll are generally on the horizontal side of the sheet, where they would be protected when rolled up (25.3.31). 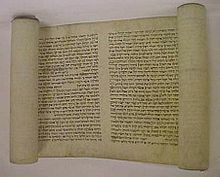 As long as the roll was the preferred form for books (yes, you can fold papyrus and yes, it was done quite a lot when using it for codices, 2./3. century AD): You had to choose one side because the form of the medium(*) made it highly impractible to use both sides for one text. The scripture was done on the inside, for better protection from external forces. Papyrus tends to roll itself this way (recto on the inside), so not "counter-roling" it seems a good idea. So, recto is your choice. Plus, the already mentioned stripes of papyrus fibre running horizontally would help the scribe to stay "in line", write a straight line and it is supposed to be easier to write on this side then the other, less scratchy. Of course, there are many examples for the use of both sides, mostly secondary use and notes (just as one would write on the backside of a letter today), but I do not know of an example where only the verso was used. The reading practice was to unwind the next column on the right while winding the already read part up on the left. Doing so, the reader always had several columns in view. There is also the fact that papyrus books were written on scrolls. You can't really write a continuous text on both sides of the scroll. Not the answer you're looking for? Browse other questions tagged ancient-rome classical-antiquity book writing or ask your own question. During the Siege of Alesia, why were certain Roman forts located outside the circumvallation lines?